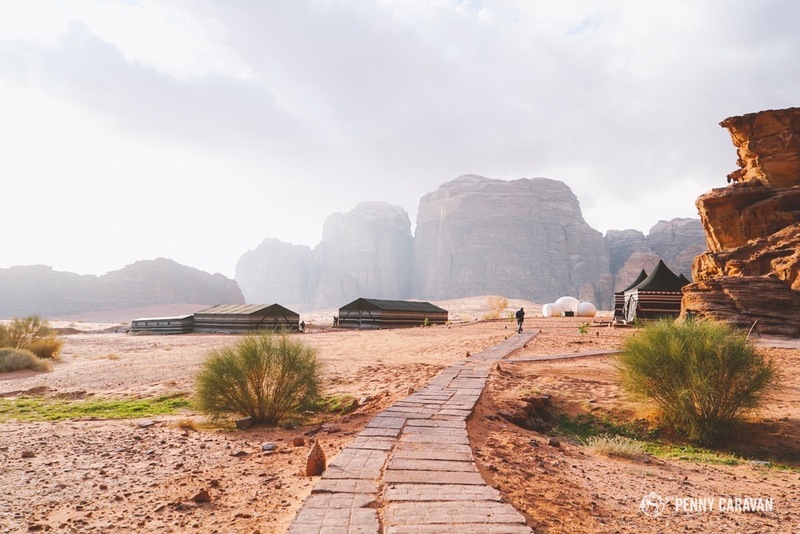 Every traveler to Jordan knows it’s a must to visit the otherworldly Wadi Rum Desert. 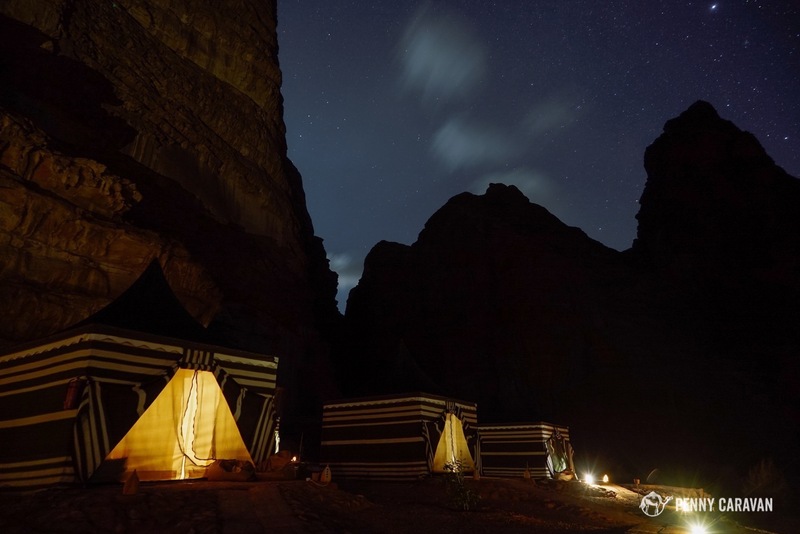 Even better than that is to stay the night in one of the many camps set up by the local bedouin tribes to sleep under the incredible desert night sky. 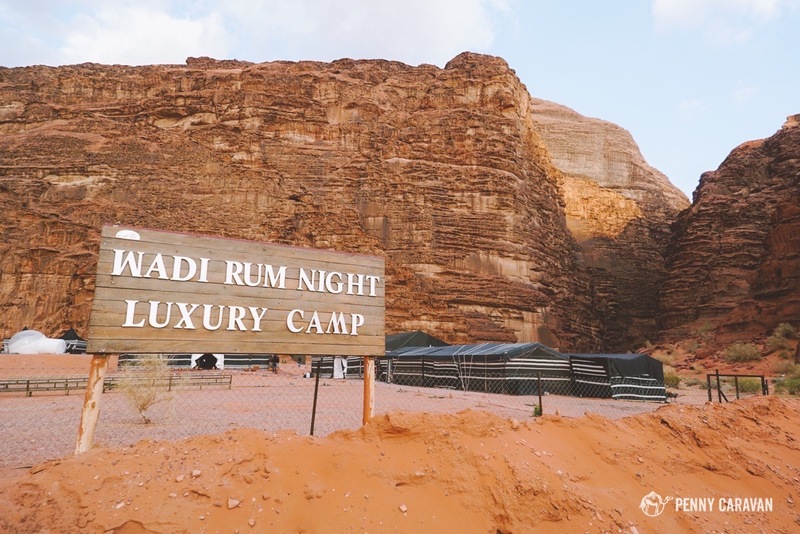 Even better than THAT is to glamp it up at the Wadi Rum Luxury Camp. 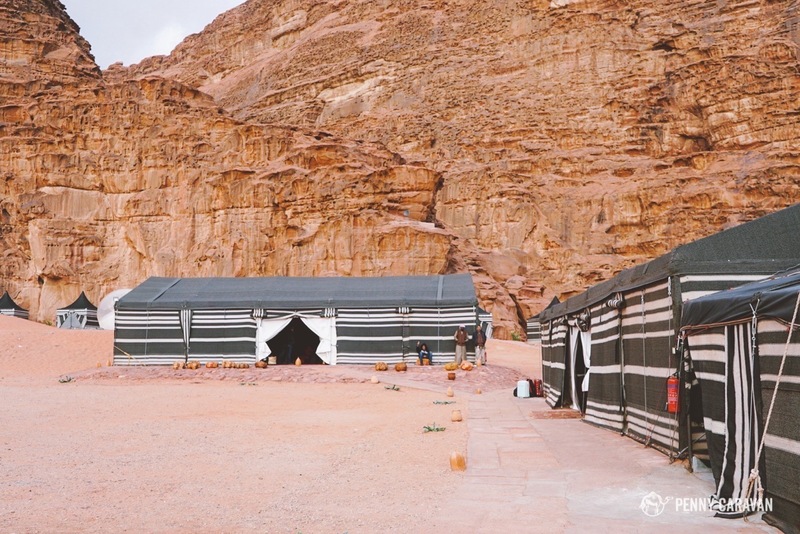 The camp is set up in the heart of the Wadi Rum Desert against a canyon wall, where it’s protected from high winds. 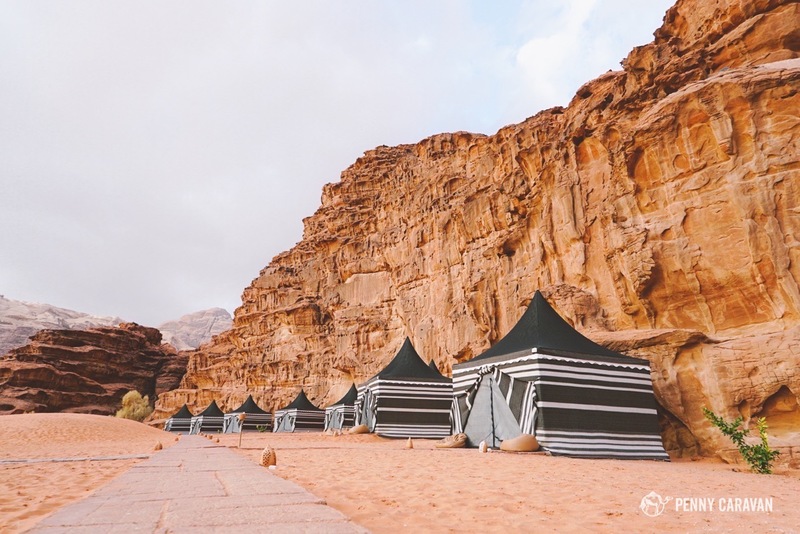 After spending the day on a tour of the desert, our guide dropped us off at the camp where we spent the rest of the day exploring (and swooning over) the beautiful site. 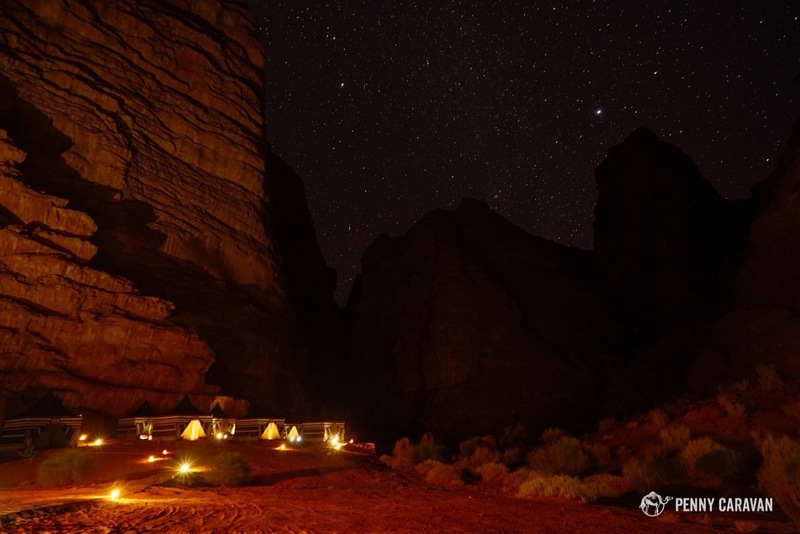 Located in the vast expanse of the Wadi Rum Desert. Reception tent and dining tent at the very entrance of the camp. From our tent looking back toward the entrance. You can see the deluxe private Stargazing Bubble Tent ahead. Panorama of the camp. The buildings just past the solar panel are the bathrooms. 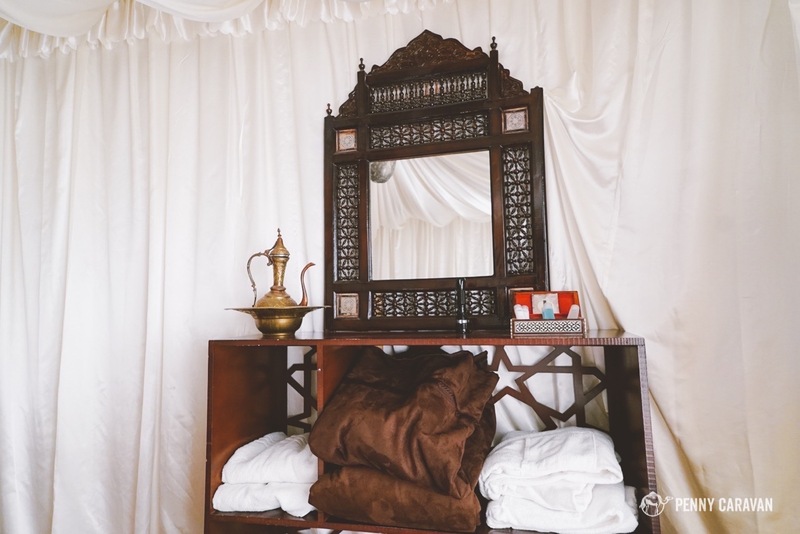 I was incredibly surprised to see that each tent had a large wooden headboard, dresser and divan. 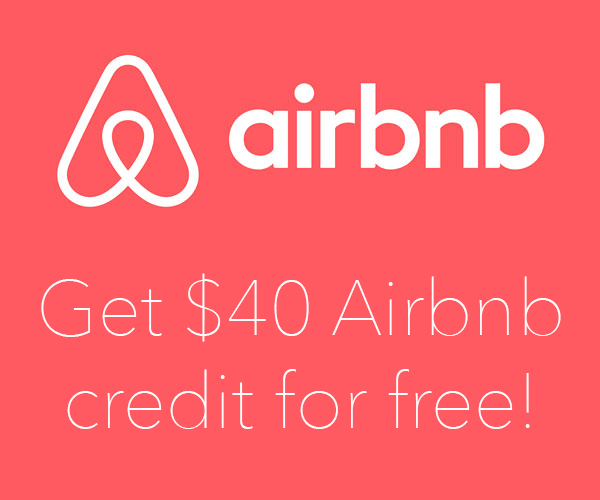 For the winter months, extra blankets were available. 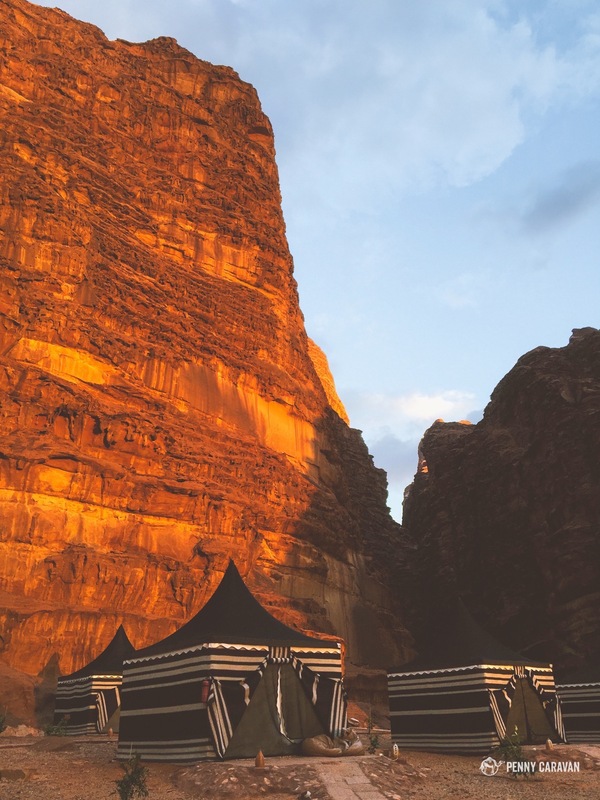 Our favorite were the long heavy robes provided each guest for protection while walking around the camp against the cold winter winds. We wore them the whole time! 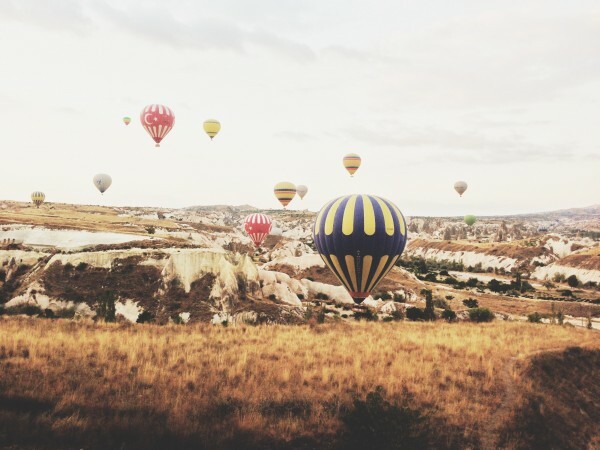 Worried about bathroom facilities? Don’t be! We didn’t get a photo, but their shower houses were actual concrete structures tiled nicer than many hotels. 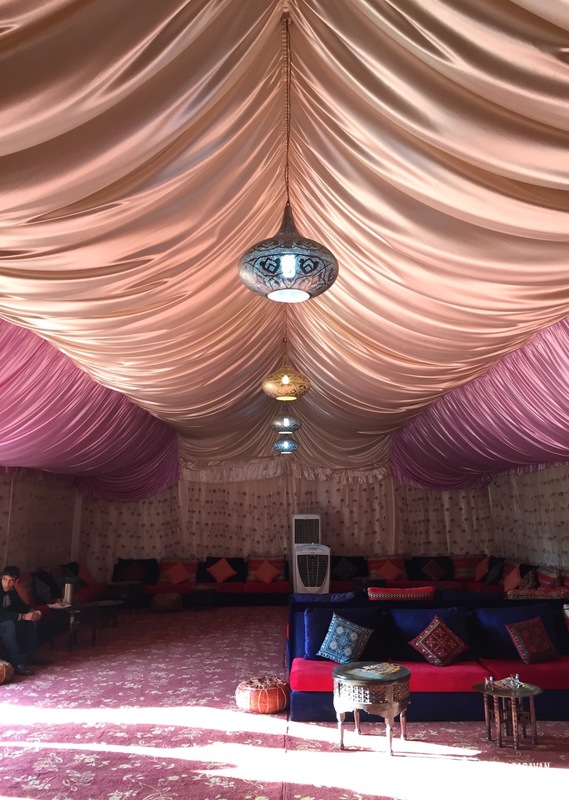 The tents were super luxurious inside! 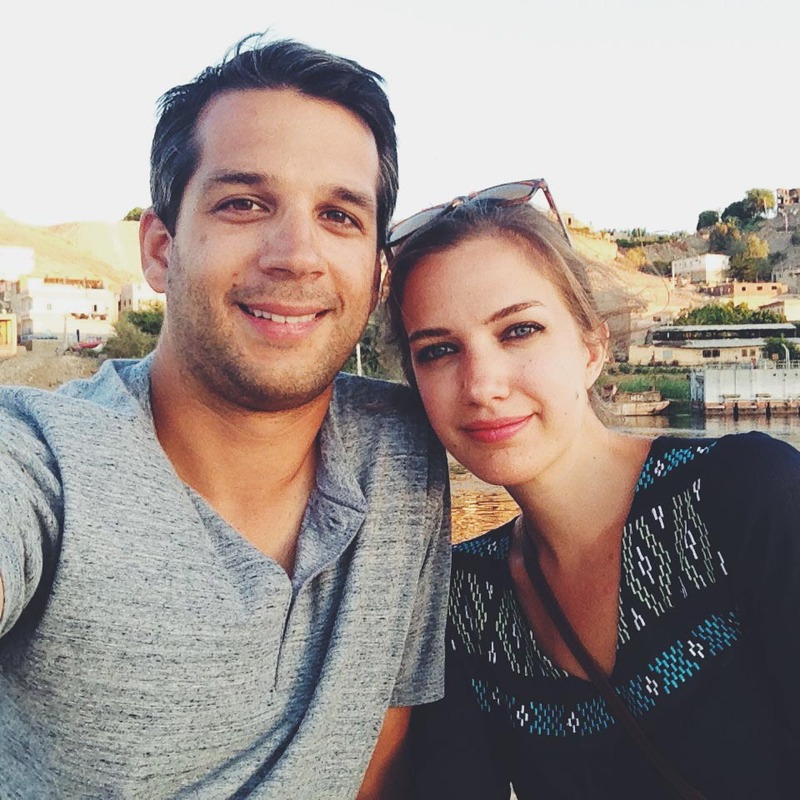 Towels, robes, shower shoes, and toiletry kit were provided. 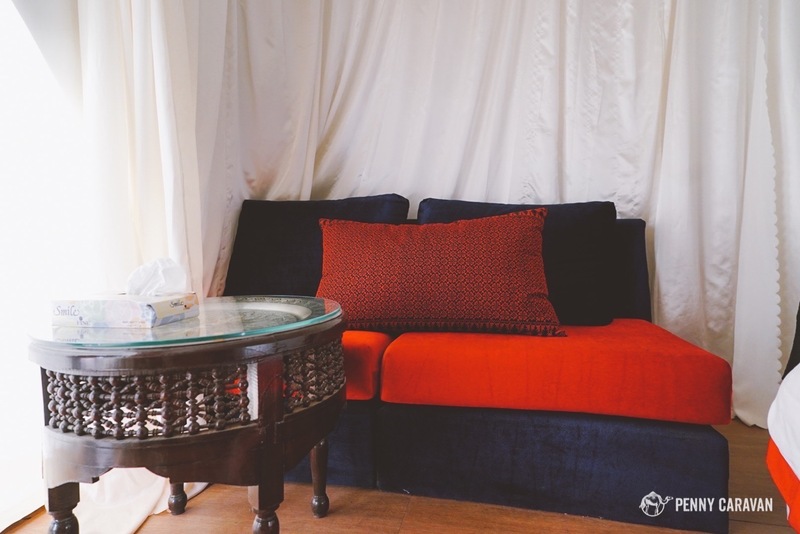 Small seating area inside the tent. 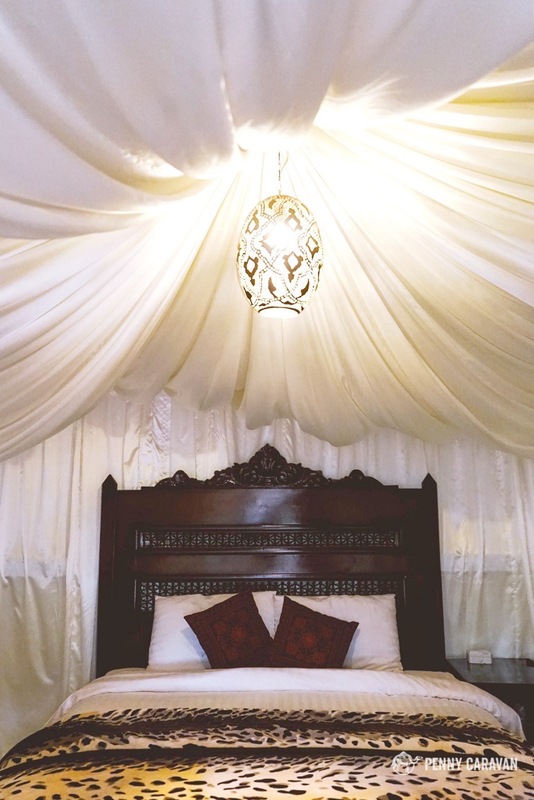 I felt like a queen in this room! Bean bags were perfect for stargazing later that night. 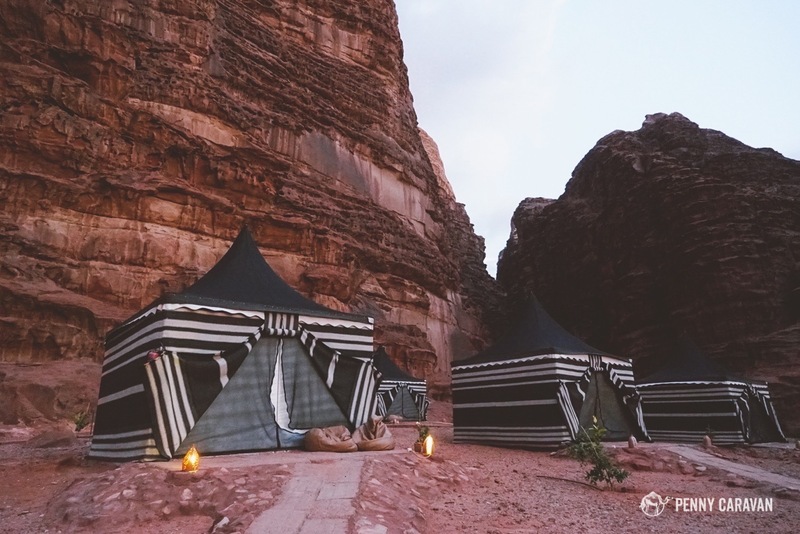 Camping in the desert like a queen. My dream come true. 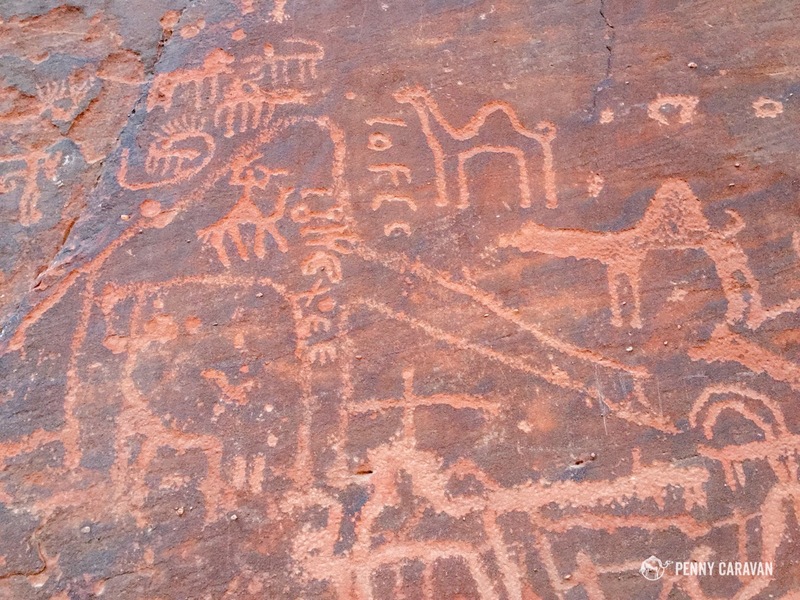 We were surprised to see ancient petroglyphs on the canyon wall right behind our tent. 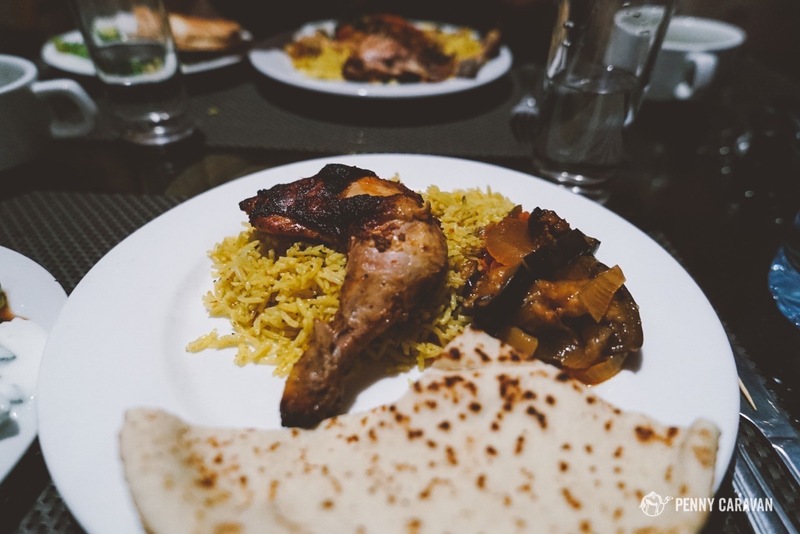 Dinner and breakfast were included with our stay. 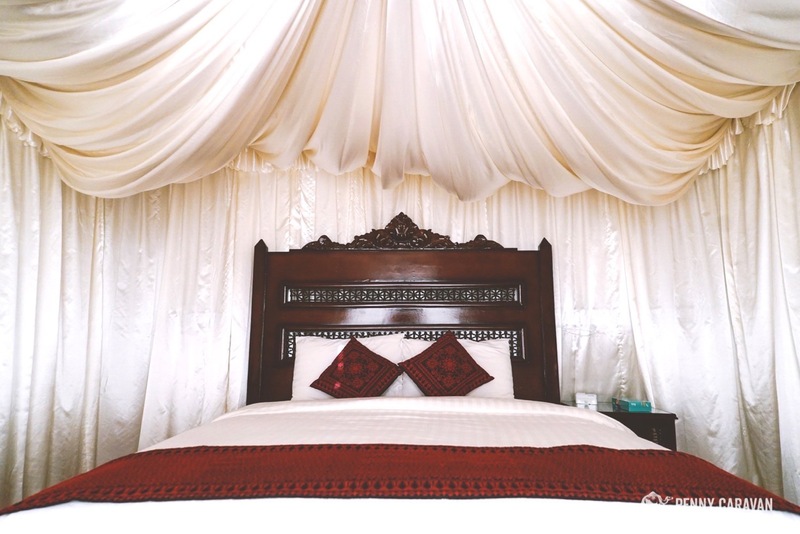 Each meal was served buffet style in the dining tent, which was fully furnished with heavy wooden tables and chairs. Dinner was an excellent soup, dozens of mezzes, chicken maklubah with vegetables, and fruit for dessert. Custom omelettes were served for breakfast along with the usual flatbread with jams, cucumber salad and boiled eggs. Everyone hung out in the reception tent before and after dinner. 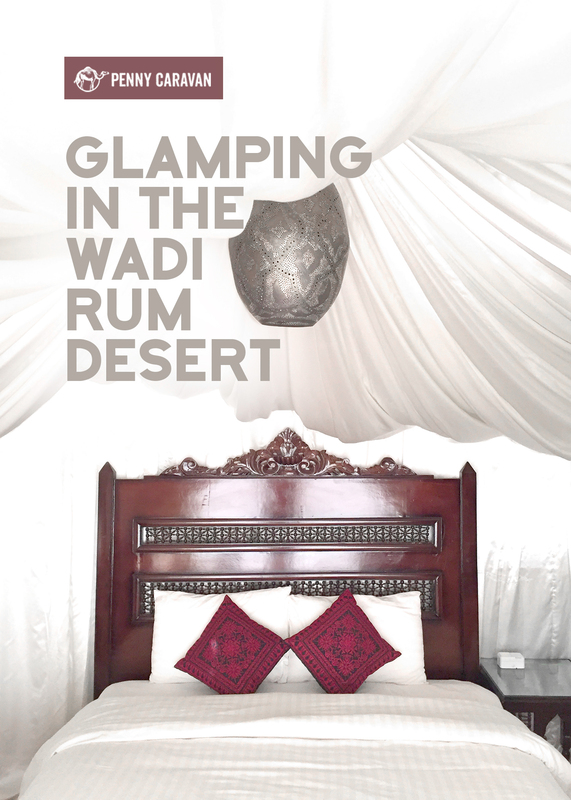 The staff were able to arrange a 4×4 tour of the desert and a sunrise camel ride for us via email when we booked the room. 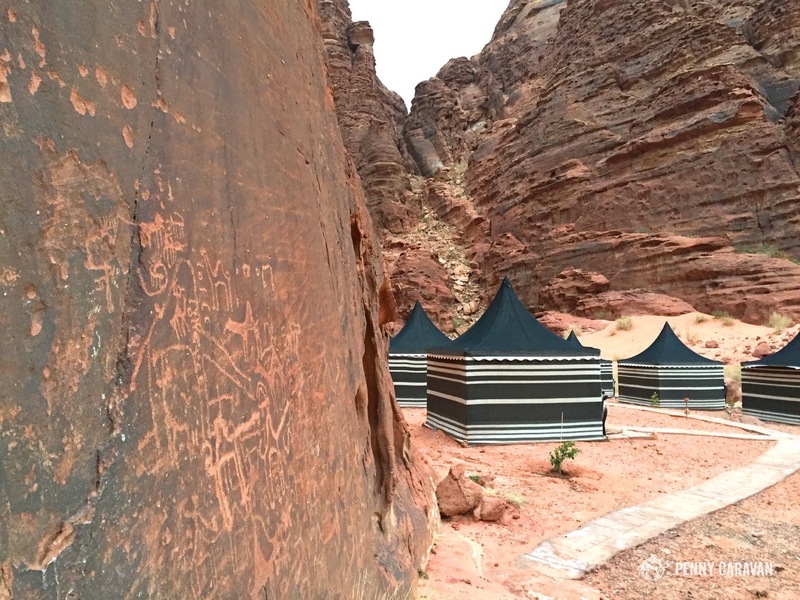 Someone met us at Wadi Rum Village when we arrived and was there the next day to see us off in a pre-arranged taxi. At the campsite, our interaction with the staff was limited to check-in and at meals, where they were readily available to help with anything we needed. After dinner, we set up the camera for some astrophotography and spent a few hours in our bean bags gazing at the stars! The camp is simply gorgeous at night. 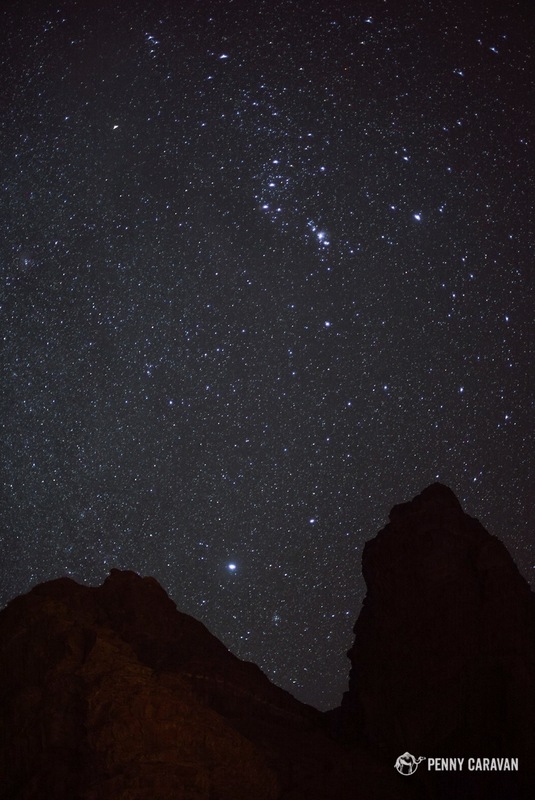 We sat in our bean bags outside and watched the stars for hours. Saw lots of planes going to Amman. 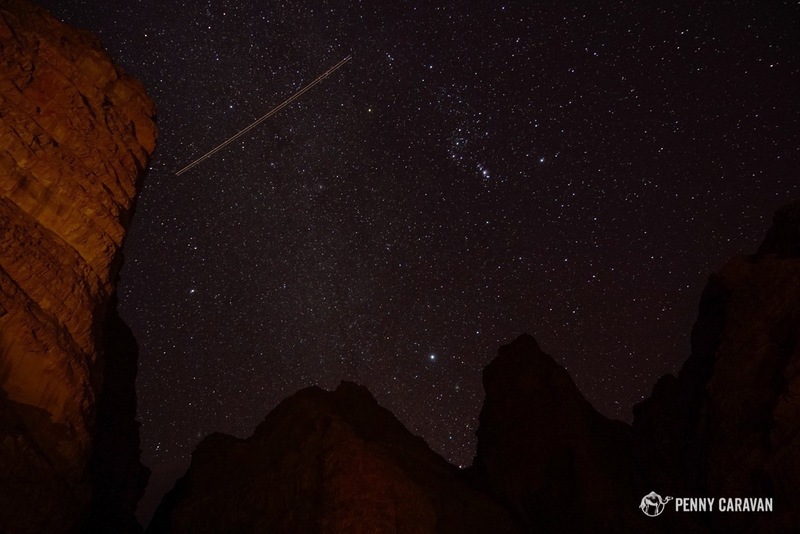 Wadi Rum is perfect for stargazing! 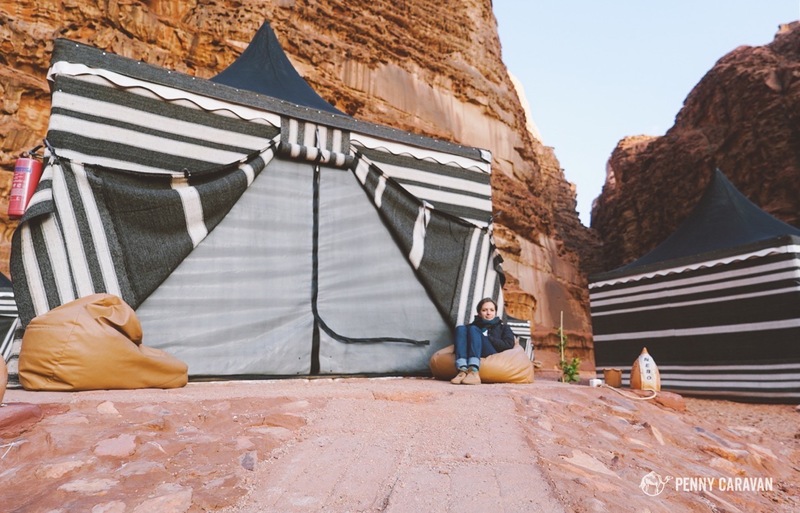 We got a more “authentic” bedouin camping experience at Seven Wonders Bedouin Camp at Little Petra, but I am so glad that we also splurged on this luxe glamping retreat in Wadi Rum. If you’re a hopeless desert romantic like I am, you’ll enjoy every minute spent here with the wind, sand and stars.